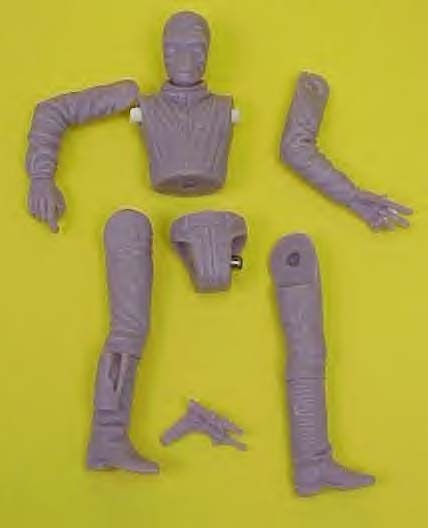 The unpainted hardcopy action figure shown in this entry is a prototype used in the production process of the Ellorrs Madak action figure from Hasbro's Power of the Jedi line. The second photo affords a glimpse of the hardcopy from the rear. As one can see, the accessory is present, which further boosts its appeal. The hardcopy is cast in a light purple urethane and the prototype can be disassembled. The modern figures have certainly come a long way in terms of sculpting detail and likeness compared to the earliest POTF2 figures.